Promises, originally uploaded by colbyh. 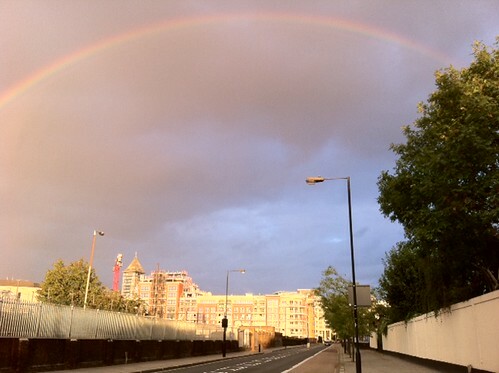 Above the riots, a rainbow tonight. Sweet Heavens, rain down. Dawna Markova, Author of Open Mind.